The Spectra Nova: . ::: STEAMPUNK JEWELRY GIVEAWAY :::. The Spectra Nova offers Eccentric Elegance in Steampunk & Neo Victorian Styles. My work consist of earring & heavy to medium weight focal pendants adorned with handcrafted gemstones from garnet & onyx to the fire lit labradorite stone. I use vintage stampings, brooches, coins, findings and the like to create a theme. 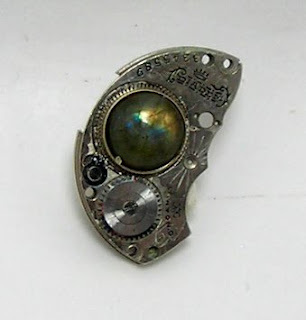 The Steampunk Entomology pendants are my main focus as of right now. I have pillaged my way into many endless treasure troves to find timeless treasures that are made into Sleek & Steamlined One of a Kind Priceless Heirlooms. I have been collecting, scheming, and hoarding for a new round of projects for my etsy shop, which I will share on my blog. In addition to my own work, I have many vintage items that I have yet to list in my shop. Many of these items have the aesthetics of the Victorian Age, as that has been my taste for many a year. Growing up with grandparents who collected antique clocks, dolls, furniture, jewelry, and clothes has primed me for all of my endeavors. What a fantastic giveaway!!! Just liked you on Facebook (as Gabriella Campbell). What a fantastic jewelry !! What I say about these designs. They are very unique and for sure unpredictable. These jewelry designs are cool and funky. 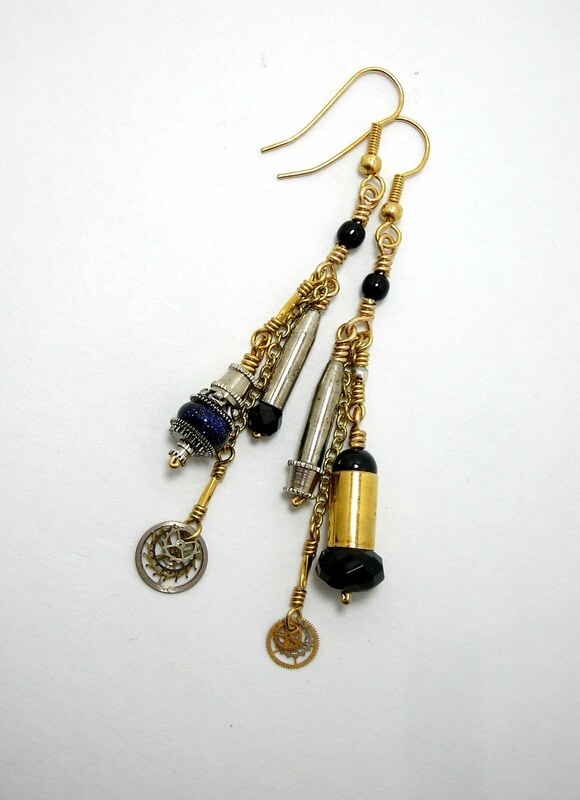 Those who are fashion freak surely going to like them.I personally like earrings design a lot.